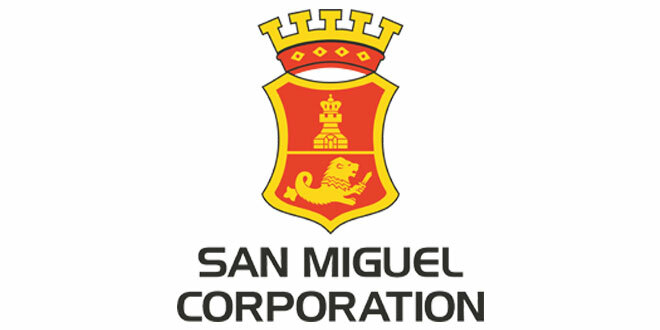 San Miguel Corp. revealed that Standard Chartered Bank and Sumitomo Mitsui Banking Corp. will be SMC’s co-financial advisors for the proposed P735-billion aerotropolis project in Bulacan. The project, which was approved by the National Economic and Development Authority chaired by President Rodrigo Duterte in April, involves building a huge international airport with four to six parallel runways, modern terminals, a sea port and an industrial zone. “It’s a great privilege and honor to partner with San Miguel Corp. on such a historic and game-changing project for the Philippines. We believe our experience in projects of this scale will be of great value to San Miguel, and, together with SMBC, we are ready and able to provide all the support they will need,” said Standard Chartered Bank. San Miguel unsolicited proposal will entail constructing a massive airport complex on a 2,500-hectare property in Bulakan, Bulacan ― just 27 kilometers away from Ninoy Aquino International Airport, or 45 minutes from any point in Metro Manila via multiple expressways. It said the new airport will create one million jobs during the construction phase. SMC said it would hire the best Filipino talents from here and abroad―including overseas Filipino workers. “It’s a massive undertaking. We will need Filipino talents in engineering, construction, hospitality and airport-related services. Hopefully, this will give many of our OFWs countrymen a reason to come home, be with their families, and at the same time help in building a better future for our nation,” he said. International Chamber of Commerce of the Philippines founding chairman Francis Chua said their group carefully studied other airport proposals and believed that San Miguel’s proposal was the best for the Philippines.